Music licensing is one of the most lucrative forms of income in the music business. It also has many hurdles in its path like finding a good intermediary that markets your music on your behalf. An intermediary can come in a variety of forms but for the sake of this article we’ll be focusing on the best music licensing companies that accept only high-quality music submissions, host them on their site, and handle the issuing of licenses of the music on the artists behalf. What Is A Music Licensing Company? A music licensing company grants permissions to individuals or organizations, enabling them to use music for certain purposes. These granted permissions are sold as licenses, generating profit for the owner(s) of the music and the licenser. 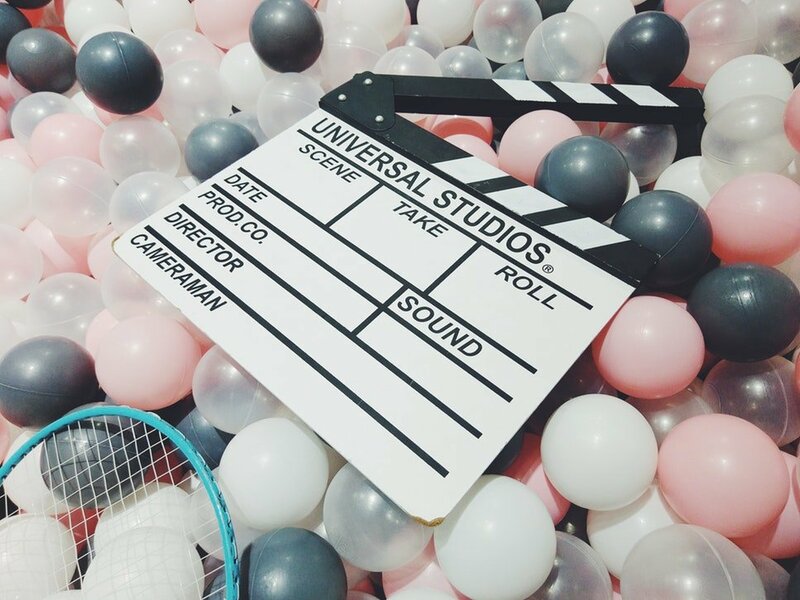 These clients consist of film producers, music supervisors, advertising agencies, content creators, and top brands. The type of license sold are called ‘sync licenses’ which relate specifically to the usage (or ‘synchronization’) of the music within all forms of media production. The deal between the artist and the licensing company states that the songs are ‘pre-cleared.’ This means the licenser can issue licenses for the agreed purposes with no case-by-case consultation needed between them and the artist. Some companies require their artist works with them exclusively or require that 50% of their uploaded catalogue be exclusive to the platform. One benefit of going exclusive is that the payouts are significantly higher. Non-exclusive agreements payout less but allow the artist to cast a wider net over various other platforms. The internet has seen a massive democratization of content creation over the last decade with creators needing more music than ever to effectively tell their story. To best serve these creators, music licensing sites function as a one-stop-shop for them to browse through vast catalogues of high-quality music, usually at a base monthly cost proportionate to their consumption or a reasonable one time fee. There are large companies host a heap of songs that can be licensed individually for dirt cheap with much lower standards in the quality of the music they accept. These songs are usually purchased by small-time YouTubers or small businesses. The top music licensing sites have the best sounding and most sought-after music with higher payouts to artists. The exact opposite is the case for their alternatives. How Much Money Do Artists Make From Music Licensing Sites? The amount of money artists can make from these music licenses varies from site to site and depends on the type and number of clients they have. It can also depend on things like the type and frequency of placements the artists songs get. On some platforms, artists earn an average of $1,200 a month with their top artists having made up to a whopping $700,000. The top music licensing sites serve music supervisors who trust that the quality of music they get access to is top-notch. That means that while the standards are high, so are the chances for licensing. Am I Ready To License My Music? If you doubt that your music is fit for a licensing opportunity, I encourage you to browse through the catalogues on these sites. You’d be surprised by the genres of music creators need to suit various instances in projects such as documentary films. Your song may not be fit to be man-of-the-hour but potentially play a background or supporting roll in the narrative. If you’ve been recording in your home studio and feel that your songs are there but the production is just not up to par, check out our remote mixing and mastering services that will help you get your songs license-ready for the big leagues. Stick around till the end of the article where we’ll provide you with further tips to prepare your music for submission to these top music licensing companies. In a short amount of time, Musicbed has become a gold standard among filmmakers for music licensing. Clients shopping on their platform are very well accustomed to accessing well written, recorded, produced, mixed and mastered tracks at the click of a button. 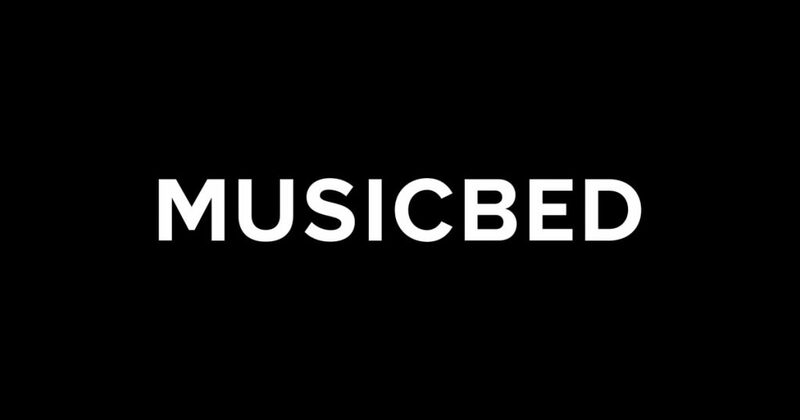 To date, Musicbed as served over 170,000 clients, including Nike, Netflix, Sony, and Amazon. As you’d suspect, Musicbed keeps their standards high when selecting artists for their roster and only accept submissions bi-annually. An in-house curation team works with clients to match their needs with the work of Musicbeds 600+ artists to help find the perfect match. Musicbed is suited for professional songwriters and producers who’s music is ready for export. If you think your songs have what it takes to start earning large payouts from these licensing deals, visit the Musicbed knowledge base and sign up to be notified when they open up submissions. Artlist is a massive platform that attracts hundreds of thousands of clients worldwide looking for high-quality, royalty-free tracks for film, commercial, and corporate content. Clients like Facebook, Google, and National Geographic pay an annual fee of $199 for complete access to all of the music on the Artlist platform. Their roster features independent artists from around the globe who are producing a wide range of music that is sure to suit any narrative. If your music is obscure, you may just find a home at Artlist, providing it is professionally mixed and mastered. Artists have full rights to their music and consistent traffic to their tunes from visitors looking to license. To submit your songs to Artlist, visit their application page. Jingle Punks have been servicing some of the worlds biggest clients in TV, film, radio and brand space since 2008. To date, they’ve amassed a roster of over 4000 independent artists, bands, and composers, and have over 50 employees with offices in NYC, LA, Toronto, and London. 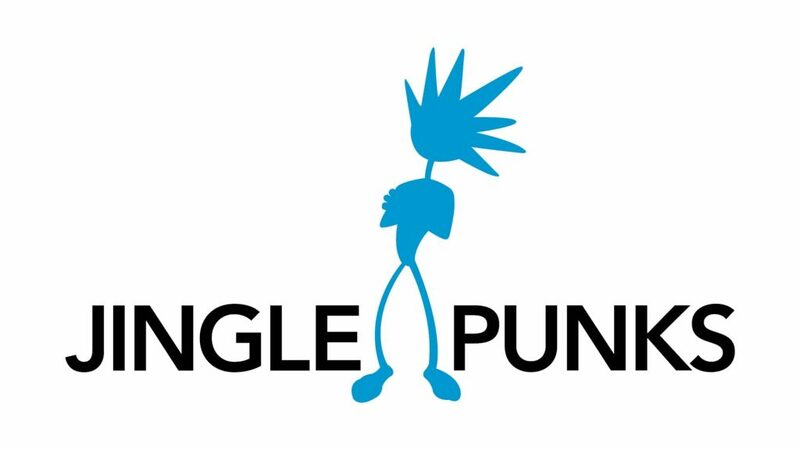 For artists looking to get on their roster, Jingle Punks only offer an exclusive agreement. The royalty payouts will depend on the client and placement of said piece of music and have a 50/50 split of all sync license fees between the artist and themselves. Jingle Punks require all submissions be fully mixed and mastered. No demos, works in progress, or cover songs. To submit your music to Jingle punks, visit their music submission page. Audio Network has a global independent music company offering creative music solutions to content creators around the world. The company has been collaborating with over 750 artists and composers and have built up a catalogue of over 100,000 tracks, carefully curated for seamless navigation for their clients. Since 2001, large clients such as Vice, Mercedes-Benz, and NBC down to smaller independent production houses and creative companies have trusted Audio Network to supply them with top quality music for their content. Browse through the Audio Network catalogue to get a sense for the kind of music they’re licensing from their platform. If you feel your music stacks up, check out their submission page. They leave no information on their site about their agreements and splits with artists so if you’ve got any insight on this, feel free to leave it in the comments at the bottom of this page. Marmoset is a Portland-based music agency with a growing roster of emerging independent artists, bands and record labels who offer their clients a catalogue of pre-cleared songs and custom original music. Since 2010, Marmoset has licensed work from their dynamic roster to brands such as Facebook, Apple, Levi’s, Adidas and plenty more. To keep this calibre of clients coming back to the platform, the recording and composition quality of all the music on Marmoset is very high. Songwriters and bands can submit their music via their submissions page. Original score composers for film can find a composer submission page here. Music Vine is a relatively new platform based out of the UK who host a smaller catalogue of carefully selected independent artists and bands from a wide range of genres. Independent filmmakers especially find value in the Music Vine catalogue as they host plenty of highly-emotional, cinematic production tracks suitable for visual storytelling. Music Vine encourages artists to submit their music exclusively to their platform but also accept up to 50% of an artists catalogue as non-exclusive. Artist rates for exclusive licenses are 60% of the sale and non-exclusive rates are 35% with payouts made monthly via PayPal. To make it on their roster, Music Vine look for a high quality production, competent musicianship, a cohesive arrangement, emotiveness and an overall commercial relevance/usability. For artists registered with a Performing Rights Organization (PRO) such as ASCAP, BMI, SOCAN, Music Vine is in the process of working out the cue sheets that allow the artist to make residual income from further plays of the licensed content down the road. To learn more about what they’re looking for from their artists and to read more about their onboarding process, click here. To submit your music to Music Vine, you can find their music submission form here. Epidemic Sound is a huge hit among YouTube content creators, offering select subscription payment structures depending on milestones of the creators channel or one-off sales. Budding producers, songwriters, and home studio musicians are perfect candidates to make it on to the Epidemic Sound catalogue, as they work exclusively with artists not registered with a performing rights organization. Epidemic Sound pay artists upfront for their work, acquiring the exclusive financial rights to the music. This amount is said to be between $100-$1000 per track. From there, their team pushes the tracks on popular streaming playlists and splits all streaming revenue with artists 50/50. To learn more about their requirements for submissions, click here. To submit your music to Epidemic sound, visit their submissions page. Because a complete list of reputable music licensing companies would be overwhelming to both read and write, we have excluded many of the top sites that do not accept unsolicited material or are currently not accepting new submissions. If you own a music licensing company and would like to be featured our list, feel free to reach out and provide us some details via our contact page. Affix Music – Hosts a small batch of refined artists producing radio-ready pop and hip hop tracks that they’ve managed to license to hit TV shows, global brands and ad campaigns. APM – A massive platform with tons of curated libraries of music suited for promotional use. APM would be a great choice for developing home studio artists capable of producing a full production of decent quality and high emotive impact. AudioMicro – Hosts a wide selection of royalty free music and sound effects for one-off sales of usually $35. A great choice for home recordists honing their skills looking to dabble in licensing some of their portfolio. They have a detailed post of what the artist onboarding process and payment structure looks like that can be found here. Audiosocket – Features a wide-range of developed artists with professional sounding productions and offer a non-exclusive, contractual deal with artists retaining 100% ownership of their music. They invite artists to send over music for review within 90 days of submission. Beatpick – A global music licensing company licensing independent music to all forms of media. They encourage artists to submit 4 tracks for a response within 4 weeks. Broadjam – Apart from hosting a large music catalogue, Broadjam connects artists with more than 100 music-licensing opportunities per day via an industry job board. Companies post an opportunity with guidelines of what they’re after and artists can pitch their music. Jamendo – Hosts over 200k tracks from artists worldwide. Jamendo offers artist a non-exclusive agreement and put their tracks in front of brands like Sony, Ford and Ikea. Magnatune – A popular subscription-based music licensing site that offers non-exclusive agreements to artists with the option for distribution across streaming platforms. Magnatune have a unique offering for artists where they share profits of subscriptions with their carefully selected artists. For more on this, click here. Music Dealers – Have a good portfolio of licensing their artists tracks to large brands like Coca-Cola and Victoria’s Secret. They offer a non-exclusive agreement for their artists, allowing them to license their work on other music licensing sites as well. Music Xray – This site functions somewhat like an industry job board where publishers, labels and related companies post briefs for licensing and signing opportunities. Artists get a free membership and pay-per-pitch to select opportunities for review. Premium Beat – A popular online destination for filmmakers and content creators that features a huge catalogue of pre-cleared music. A majority of the tracks featured are instrumental and fit for supporting YouTube videos and small business advertising. Premium Beat accepts exclusive tracks only to their catalogue and sell licenses for either $49 or $199 per track, depending on the use. Pump Audio – A division of Getty Images, already receiving a high amount of traffic from content creators in need of music. Pump Audio has had over 100k placements, offer a non-exclusive agreement to artists and pay out 35% of the earnings. Scout Music – Offers music supervision, custom productions and host a diverse music catalogue for ads, music and tv. They have developed the Scout Music Design Lab, a mentoring program training music producers and musicians to get a head start in sync licensing. Shutterstock – One of the largest stock image sites on the web is now offering stock music for content creators. Shutterstock encourage artists to submit up to 5 tracks of original music and sound effects, ideally 2:30-3:00 minutes in length. The review process can take up to two months. Shutterstock purchases tracks from artists upfront and exclusively buy out the rights, meaning the artist gets paid even if the song is never licensed. To learn more about how to become a contributor, click here. TAXI – A member service with a sign up fee that push their artists work in front of their network of A&R reps, publishing companies and licensing opportunities. Music licensing companies only accept great sounding songs that adequately compare with mainstream commercial releases. To ensure that your tracks stack up against the competition, check out our remote mixing and mastering services.